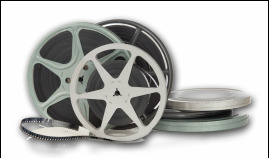 We have transferred millions of feet of Video and Film, digitally protected aging photos and slides,and protected the legacy of countless customers over our 26 years in business. 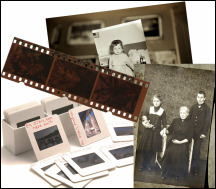 We are experts at preserving every moment, every memory, for all generations to view and share. Thanks for saving our memories. This was service rendered way, way above and beyond the call of duty! This will mean a great deal to my family. This has been a very satisfying project for me to get completed. I am really looking forward to seeing my fat little legs taking their first steps. As you know, I came back to you after 15 years with good reason. Thanks so much for your service and help. Deliver personal attention to each customer and project. Located in South Norwalk for 26 Years. We have been serving families all over the country especially Connecticut and New York. Our work quality is exceptional and customer satisfaction is guaranteed. Cleaned transferred and archived on discs for easy viewing or on drives for editing. Our transfer service has been trusted by professionals and consumers for over 25 years. We have handled thousands of conversions, so you’ll know your transfer is being handled with care. We do all work in house and most orders can be turned around in a week or less. We stand behind all of our work and provide you with a guarantee of quality and service. ​and take pride in preserving them for generations to come. Metered Street Parking in SONO is from 8am-9pm Mon-Sat.